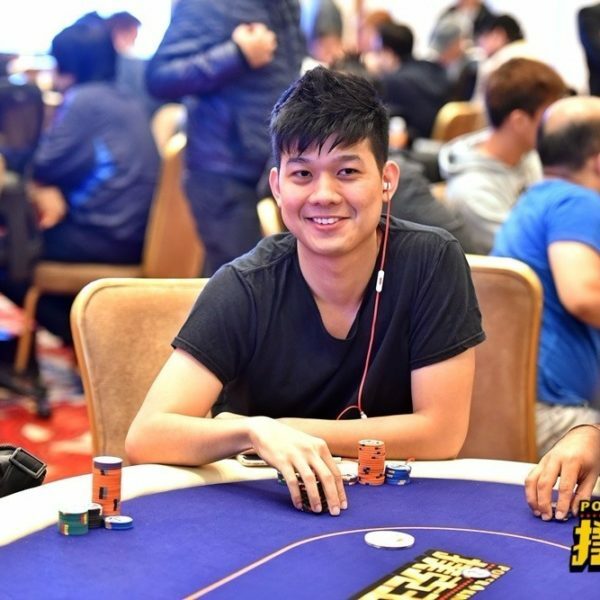 Singaporean player Alex Xiang Wei Lee is a familiar face in both the Asian and Australian poker circuit. Since 2011, he has captured titles in both continents, decorating his portfolio with numerous five-figure scores throughout his live tournament career. Today, Lee ranks 3rd in the Singapore All Time Money List with nearly US$550K in live tournament earnings. Looking back at his early years, Alex Lee emerged into the live scene in April 2011, taking 5th at the ANZPT Main Event in Sydney. He earned AU$43,230 (US$44,800) which remains to be his largest monetary live win to-date. Jumping back in the live action the following year, he attended the same event however this time, he didn’t quite run as deep, finishing 30th for a AU$4,610 (US$4,800) payday, roughly double his buy-in. Later that year, Lee would taste his first victory, besting the 33-player field of the 2012 National Poker Championships in Canberra City, Australia. This earned him another AU$9,075 (US$9,300) to add to his live tournament wallet. Although he only cashed three times between 2011-2012, he already earned nearly US$60,000. After another light appearance in the circuit the following year, Lee began to show more visibility in the years ahead. 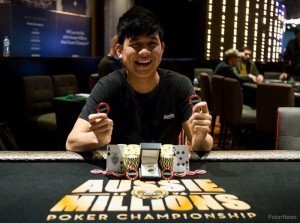 In 2014, he ran deep once again at the ANZPT Main Event in Sydney then placed at the Sydney Championships Main Event, followed by a 6th place berth at the APT Asian Poker Series Manila Main Event for Php686,000 (US$15,700). In 2015, Lee focused his attention on Asia, cashing 20 times in the continent, mostly spread between the Philippines and Macau. In May, he placed 11th at the APPT Macau for HK$152,600 (US$19,600); in July he won the APPT Manila Warm Up event for Php1,082,000 (US$23,700); he earned two more five-figure scores in Manila before closing out the year in 2nd at the WPT National Korea High Roller Event in Jeju Island. This added another KRW25,995,000 (US$22,200) to his growing live tournament career earnings. 2016 was also a busy year at the felt for Lee, cashing 18 times in various countries. He opened up the season with big scores at the Aussie Millions. He won the NLH Terminator event, besting a field of 316 players for AU$39,000 (US$27,300) then picked up another AU$40,000 (US$28,000) for 28th place at the Main Event. Quickly returning to Asia, he padded up his pockets further then earned back-to-back titles in early May. He won the PokerStars Live Manila Megastack NLH 100K event for Php742,000 (US$15,700), and days after, he finally captured the WPT National Korea High Roller Event (he placed 2nd in 2015) for KRW 36,020,000 (US$30,700). Another big payday for Lee in 2016 was a 3rd place finish at the APPT 10 Macau NLH event where he earned HK$212,300 (US$27,300). 2017 was a lighter year on the scoreboard as compared to the past two years with only 9 cashes however three of those were in the five-figure range. 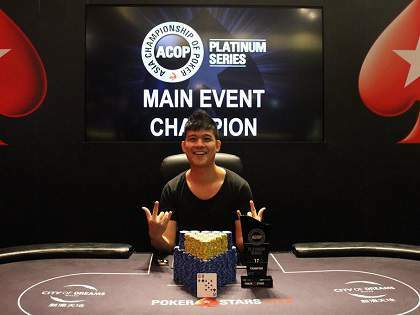 He won his first Macau trophy, taking down the ACOP Platinum Series Main Event for HK$199,362 (US$25,669); took 2nd at the APT Championships $440 NLH event for US$13,590; and won the Manila Megastack P50K NLH for Php1,010,000 (US$20,200). 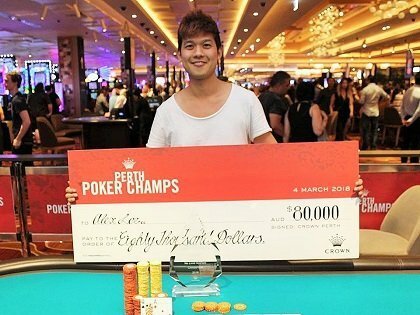 Kicking off 2018, Lee has been in high gear getting on the board with 4 cashes in Macau followed by a big victory at the Perth Poker Champs in Australia. He bested a field of 132 players at the Main Event and won AU$80,000 (US$62,000). This should move him up to 3rd rank in the Singapore All Time Money List.